Groundhog Reservoir, Dolores County. Lone Cone peak at left, Groundhog Mountain on right. 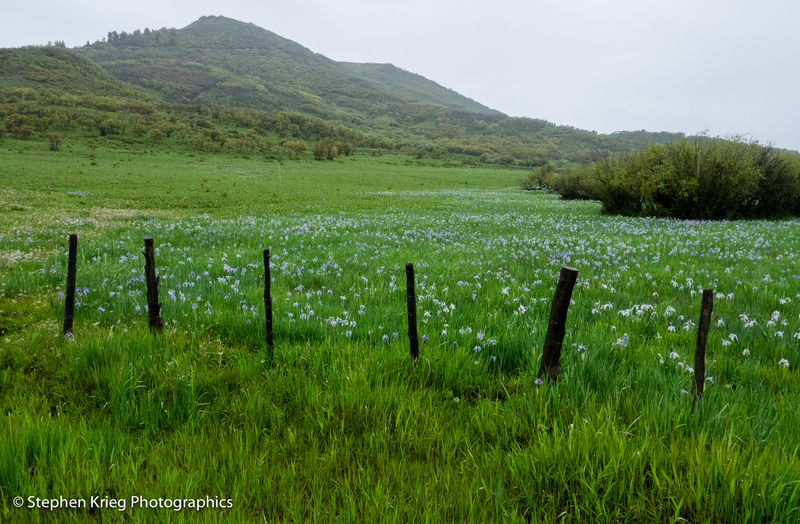 As the unusually wet spring continued, I took advantage of several days’ break in the rainfall to continue exploring southwest Colorado. 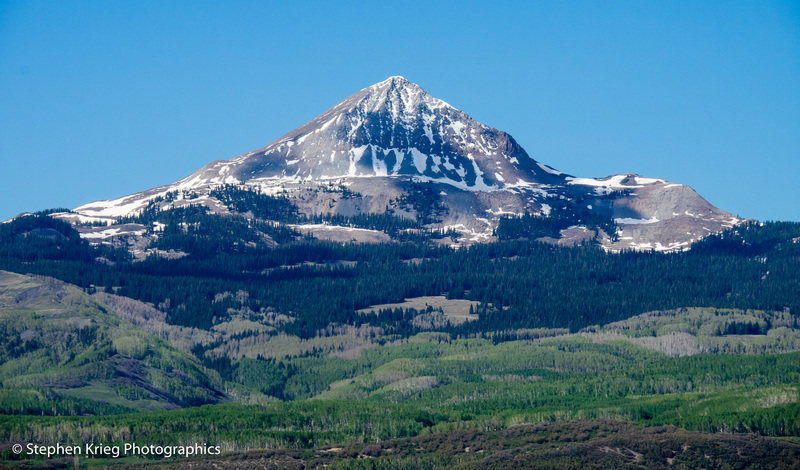 This time, the upper Dolores River watershed in the San Juan mountain range. I drove up the West Dolores River and then Cottonwood Creek, on the San Juan National Forest. Weather sunny, clear, light breezes. Perfect. 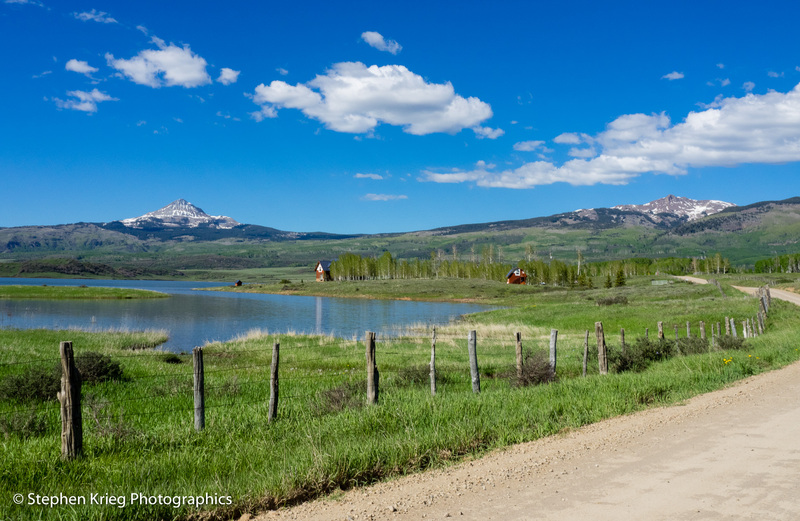 At Groundhog Reservoir I stopped to photograph the scenery. Right on cue a “groundhog” (actually a yellow-bellied marmot, I believe) dashed across the road into the grasses on the other side. It did not stop to pose for photos, though. Groundhog Reservoir State Wildlife Area information signs. Lone Cone peak was the perfect backdrop to the lake. At 12,600-some feet it’s not one of Colorado’s vaunted “fourteeners”. But it’s the westernmost peak of the San Miguel Mountains, the western vanguard of the San Juan range. It’s…alone from the rest, and recognizable from far away. Lone Cone peak, elevation 12,613 at the summit. 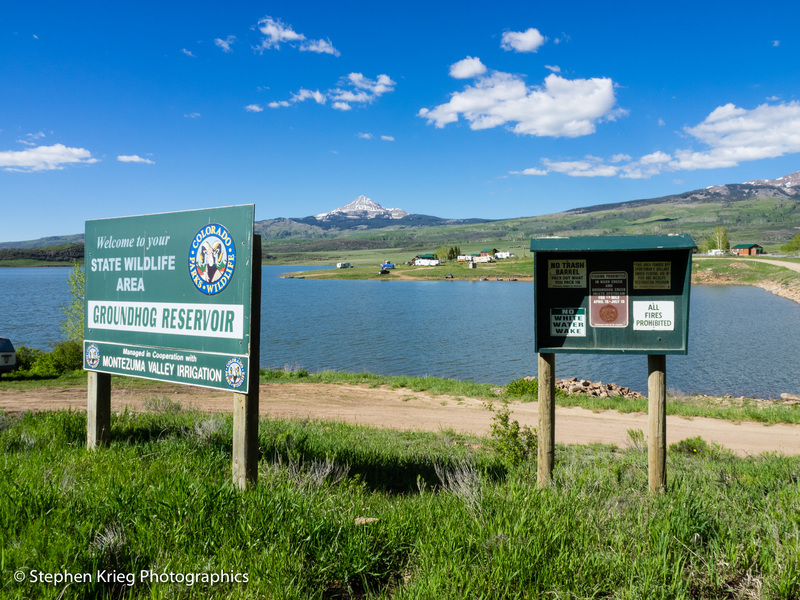 Driving out of “town” (a commercial campground and convenience store) at the reservoir soon brought me back onto the National Forest. Public land, open to primitive camping. No need to do an extensive search for the best campsite. It felt wonderful to be back up in the aspen forest, so almost anyplace was quite fine. Lots of birds calling, and frogs croaking down at the creek below. High country Colorado serenades. 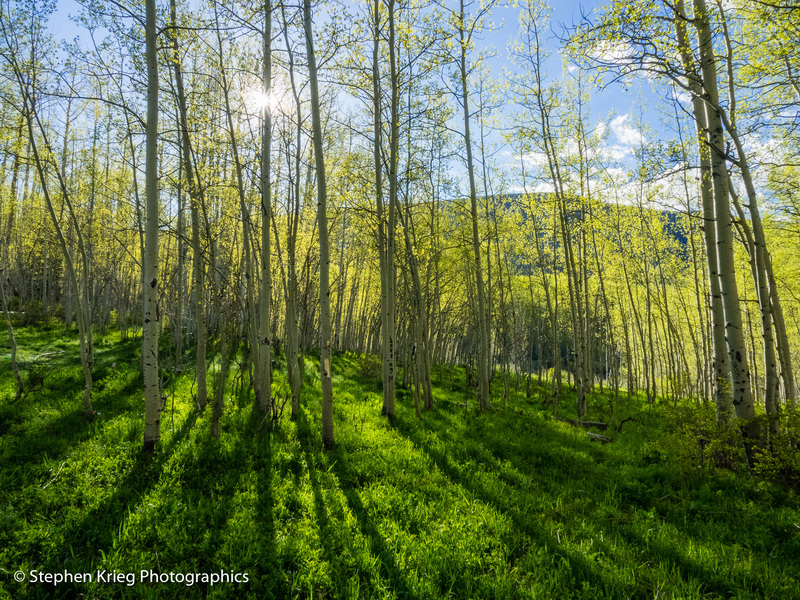 Morning has broken: Springtime aspen forest camp. The rains returned the next night, and I sat tight in my camp. Reading, listening to music, photographing. Listening to the music of the rain on my vehicle’s roof, and in the aspen canopy above. Soft, relaxing. The second morning it was time to go. The sojourn’s expiration date was at hand. The forest roads were sloppy with mud from the rain, even the main roads. It took almost two hours just to carefully make my way down out of there, back to paved highway. 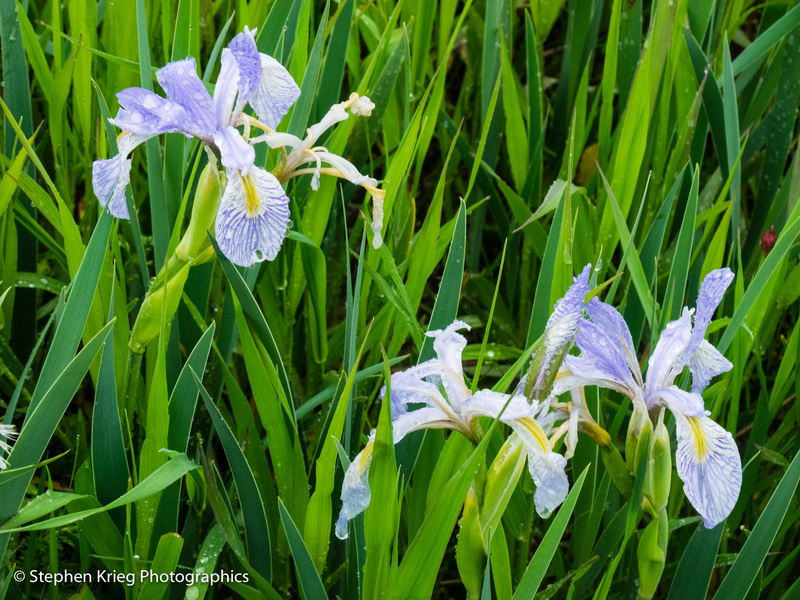 At one point on the way out was a lush meadow with more Rocky Mountain Irises than I’ve ever seen in one spot. It was still raining, but fairly gently. So I stopped to photograph, and was quite pleased with what I had gotten. Photo location: Dolores County, Colorado. As always, click on any photo for a much larger version.